Charter-a Ltd are providers helicopter charter in the UK. Expert and with up to the minute knowledge of helicopter position throughout the UK. Your travel arrangements are dealt with in a speedy, trustworthy and thoughtful manner. Based on our experience and knowledge we will offer you the most cost-effective helicopter hire whilst meeting your exact requirements. 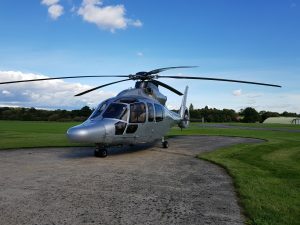 Wanting to arrive in a helicopter for dining out, a helicopter business trip, helicopter tour over London, helicopter corporate day out to a sporting event such as Silverstone. No matter how many passengers wishing fly we will accommodate you. Private helicopter hire is more popular than ever. Helicopters over the past few years have grown in popularity as a from of transport that gives you time back. Hiring a helicopter to go from London to Birmingham means a time saving of around 2 hours. This means a meeting can be done in a morning. Helicopter charter costs have also become more accessible and businesses recognise the time saving constituent when moving people. We charter helicopters maintained to the highest standard and we monitor every helicopter charter. With a diverse fleet of twin and single engine helicopters positioned across the UK including London, Manchester and Birmingham. Providing every customer with a concierge style service. We monitor every helicopter flight from start to finish and your designated member of staff ensures everything runs smoothly. Call us for help and advice.